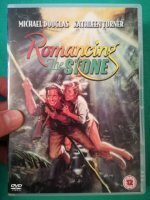 Despite a silly storyline, Romancing the Stone (1984) is very likeable and has some cracking action sequences. It’s similar to Spielberg’s 1981 mega-hit Raiders of the Lost Ark but Romancing the Stone puts more of an emphasis on the love story. The story: Still single, romance novelist Joan Wilder lives in her New-York apartment with her cat for company. 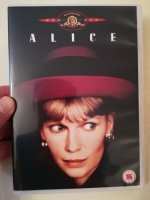 After receiving a treasure map in the mail from her brother-in-law and then a desperate call from her sister Elaine in Colombia who has been kidnapped, Joan’s orderly life is turned upside-down. Her sister’s captors demand Joan travel to Colombia to exchange the treasure map for Elaine. Soon after arriving, she’s stranded in the rainforest (in high heels) until she’s rescued by handsome American and soldier of fortune Jack T. Colton. Chased by shady villains, Jack and Joan search for the priceless jewel “El Corazón” (The Heart) hidden somewhere in the jungle. This was Robert Zemeckis’s third time to direct, having had two box-office failures previously with I Wanna Hold Your Hand and Used Cars. Romancing the Stone producer Michael Douglas liked Used Cars and wanted Zemeckis as director. The movie became a surprise hit in the Spring of ’84 and Zemeckis’s next picture was the blockbuster Back to the Future. 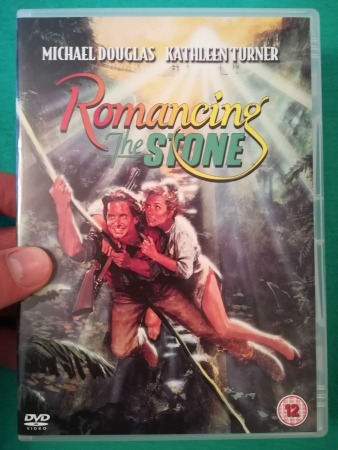 Romancing the Stone was the movie that made a star of Douglas. Before that he was in a handful of films but was primarily known as a television star (The Streets of San Francisco) and the movie proved he could make the transition from TV to the big screen. He wasn’t interested in starring in it himself and had wanted Sylvester Stallone for the lead role. The movie is a lot of fun and a big part of its success is the genuine chemistry between Douglas and Kathleen Turner. It’s a good pairing and the budding romance between the two is believable. They don’t get along very well at the beginning which makes for some very funny moments. Douglas wasn’t known for being an action star but he pulled the part of the adventurous Jack Colton off exceptionally well. Kathleen Turner was best known for her role as sultry Matty Walker from Body Heat and in Romancing she was able to play something very different, a character who grows to become more confident and independent. Romancing the Stone may be a bit clichéd and predictable but it’s exciting, fun and inventive and can never be accused of taking itself too seriously. With a really good mix of action, romance and comedy it’ll appeal to all audiences.